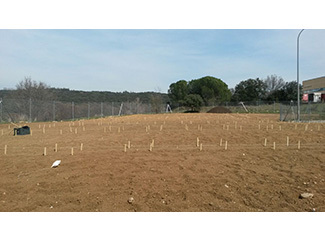 Yesterday it was the official opening of the 'Cultivate Climate and Community 3C' project in de San Agustin de los Reyes, Madrid. 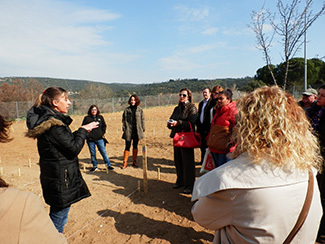 The event included a short presentation and a guided visit to the garden, located in the industrial area north of the suburb. It was attended by representatives of the Municipality and the Foundation. The garden occupies a plot of 2,000 square meters, in which a total of 15 activists and develop their work. Currently, working alongside technical Humana staking beds or plots. Eight activists were selected by the Foundation and the remainder by social services Consistory.